Through the latest Milestone technology, Gettle delivers integrated system solutions, providing clients with the convenience of a streamlined, centralized management system. We work closely with our partners to evaluate their specific system needs and deliver solutions that are a best fit for their industry and their business. We employ best-in-class technology and use industry best-practices to ensure your company, employees, customers and assets are protected. At Gettle, we understand businesses have around-the-clock needs and when it comes to a service need, every second counts. We offer 24/7 emergency service and comprehensive maintenance, cleaning and analysis solutions to ensure your systems are operating at peak performance. We also offer the latest technologies in remote system monitoring, diagnostics and data collection to provide critical real-time information. 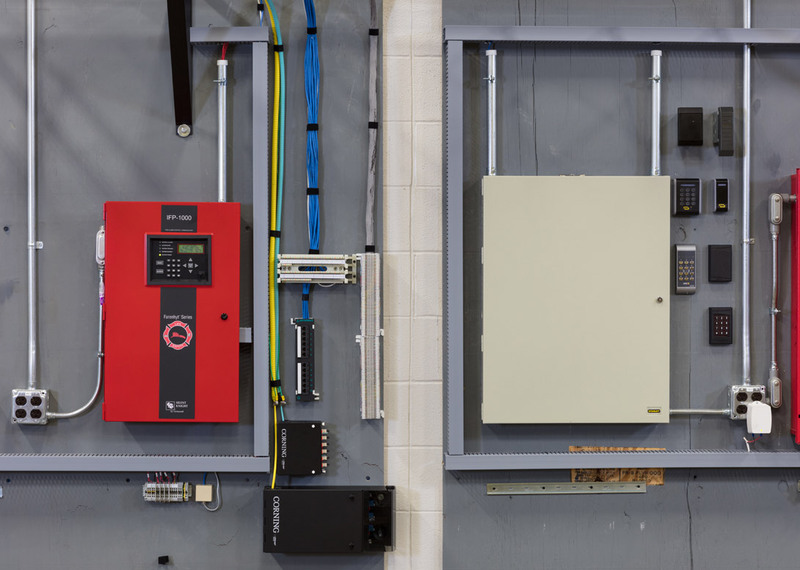 In addition to specialized expertise as a fire protection systems installer, Gettle’s capabilities as an electrical and datacom services contractor provide a single source of responsibility capable of managing the full project lifecycle, ensuring optimal system integration and maximum budget and schedule efficiencies. Reach out to learn more about Gettle’s comprehensive fire and security capabilities.